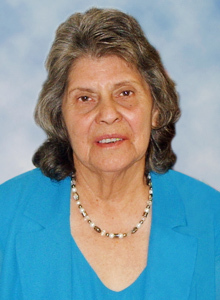 Services are scheduled for 10 a.m. Thursday, July 19, at Trinity Temple Assembly of God for Celia H. Rincon of Artesia. Rincon, 84, passed away Saturday, July 14, 2018, at Artesia General Hospital. Jesse Rincon will officiate the services, with interment to follow at Woodbine Cemetery. Pallbearers will be Jeremy Acosta, Eric Guzman, David Gurrola, Thomas Gurrola, Joseph Rincon and Gabriel Rincon. Visitation will be held from 5-8 p.m. Wednesday at Terpening & Son Mortuary. Celia was born Jan. 1, 1934, in Delicias, Chihuahua, Mexico. On Dec. 2, 1951, she married Jorge Rincon. She was a housewife and member of the Alpha Y Omega Church. Celia enjoyed cooking, church activities and crafts. She loved God, her family, and her church. Survivors include her husband, Jorge Rincon, of Artesia; sons George Rincon of Rio Rancho and Jesse Rincon and wife Pattie of El Paso, Texas; daughters Ora Jackson and husband Danny of New Bern, N.C., and Irene Guzman, and Odilia Gurrola and husband Roy, both of Katy, Texas; 16 grandchildren; 16 great-grandchildren; and four great-great-grandchildren. She was preceded in death by her parents; three brothers; one sister; and a son, Jose Rincon.